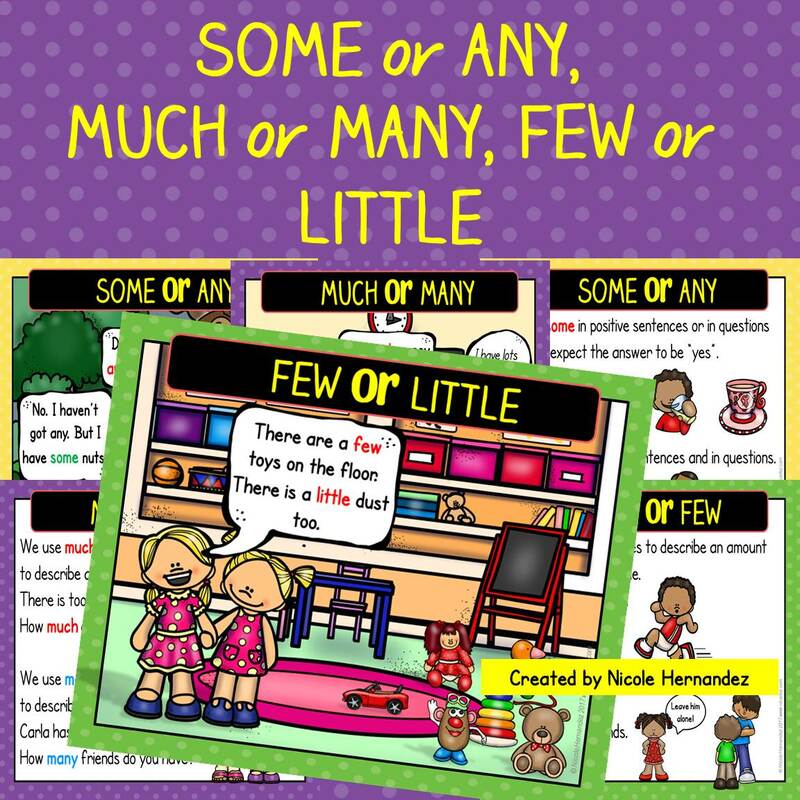 These posters are just right for your classroom display as visual reminders for your ELA lessons. The kid-friendly graphics and simple explanations points your young learners to the correct use of the quantifiers some, any, much, many few and little. They are available in color only at the following stores.